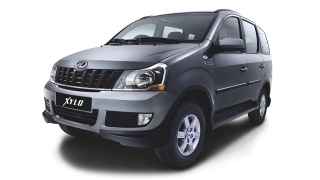 If I were to ask any Filipino their choice for a people mover, it would probably be a toss up between a van or MPV. 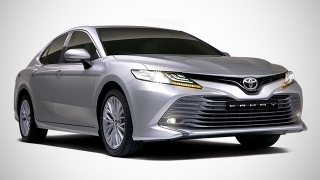 Specifically, odds are it’ll be a Toyota either way, and that’s the way it has been for many years. 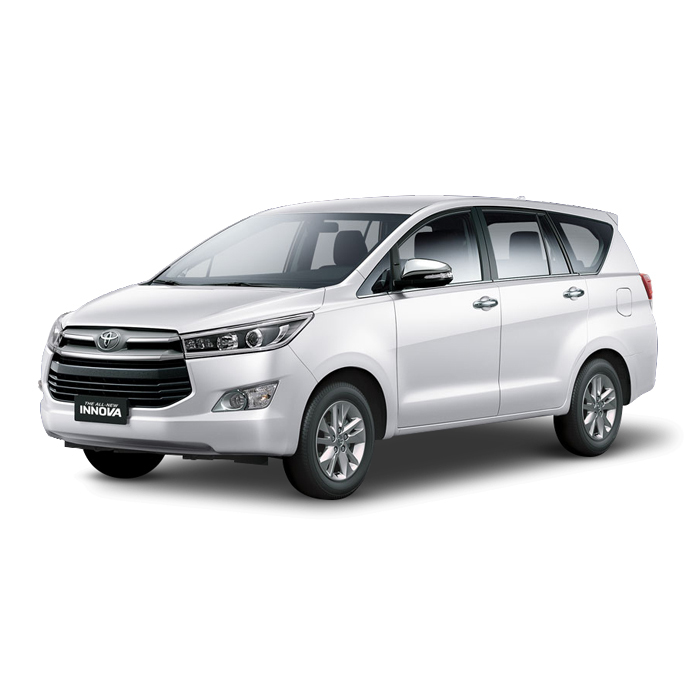 Like white is to rice or butter is to warm toast, the Toyota Innova is the mainstay choice for many big families that require seven seats and diesel power. 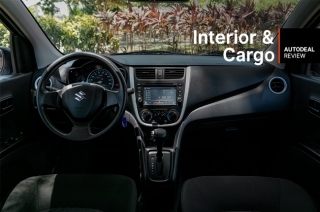 While the Innova has grown in size and features, so has the price. More toys for next year's version? And that’s where things get interesting. There was once a time when you could get a decently specced Innova for less than a million, but current model figures are coming very close or even surpassing some variants of the midsize SUV brother, the Fortuner. So the conundrum of having to choose between an MPV or SUV gets a bit more difficult - they both seat seven, they both have diesel power plants, and they’re both body on frame chassis. How do you satisfy the needs of a customer who is spoilt for choice? 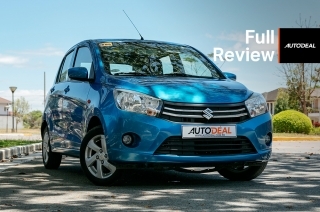 By offering something different, unique, or a vehicle with just enough of a combination of stuff found in more expensive models, while still carrying a decent price tag. 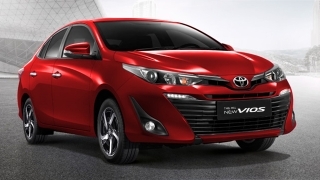 That’s where this extremely red 2018 Toyota Innova Touring Sport comes in. The 2018 Toyota Innova Touring Sport is, in essence, an upgraded E variant 2.8-liter Innova. 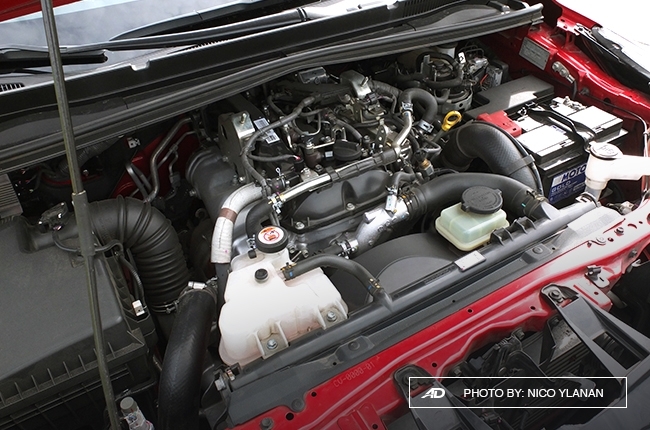 It retains the 2.8-liter diesel four cylinder mill, and that’s a good thing. It’s a powerful and reliable engine that’s good for 170 hp and 360 Nm of torque, more than enough for the needs of the driver. Turn the key and it comes to life with the usual initial rough idle found in diesels, but quiets down once you get going. There’s still some engine noise when accelerating hard, like matching speeds on the highway, or accelerating out of a turn, but it’s the usual, no fuss affair. The engine is mated to a six-speed automatic transmission (there’s also a manual variant of the Touring Sport), and the gears are nicely spread. But there’s some definite sudden acceleration if you’re not finessing the pedal, so it takes some getting used to. On to the interesting part - most of the changes to this special Innova come in exterior and interior bits, which we’ll cover here. On the outside, the Innova Touring sport is an interesting departure by Toyota from the usual run-of-the-mill MPV lineup. The tester we had came in a pretty dashing red mica color, and the more “sporty” touches made the whole vehicle somewhat deserving of a second look by bystanders. 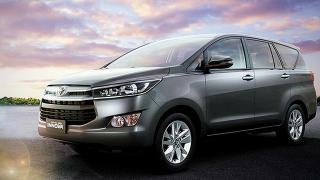 First, there’s the obvious chin spoiler and chromed trim accents on the grille, and it certainly fits the Innova well. The chrome trim on the front bumper also carries over to the side skirts and portions of the rear bumper. 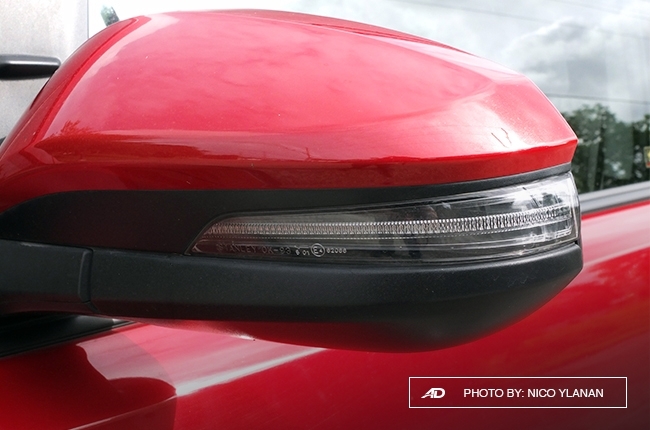 There’s a black plastic trim piece to separate the rear taillights, and I think it gives a nice contrasting effect, especially with the red color. The shark fin antenna is a cool touch, and the somewhat smoked headlights and darker wheels (wish they were bigger, though) round off the sport side of the Touring Sport. Big points also to the inclusion of rear parking sensors. The interior gets a slight upgrade, too, as the Touring Sport has a decent sized and well-functioning touch screen infotainment system. 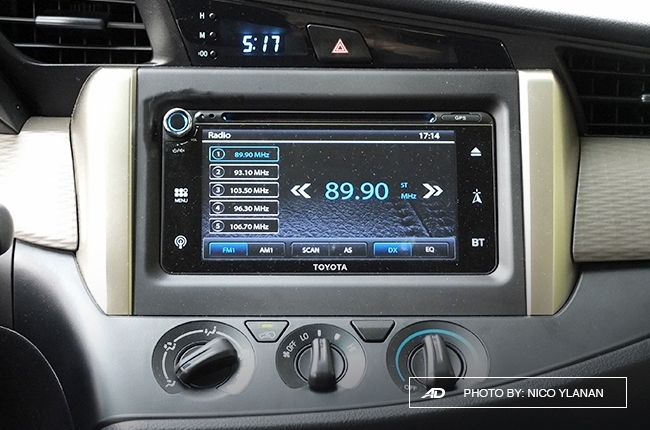 It does away with the standard 2-DIN radio in the J and E variants, and we most certainly like this addition. There’s even navigation as an option. 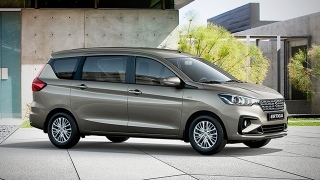 The rest of the cabin is what you’d expect from an MPV, there’s some hard plastics all around that will stand the test of time, and generous use of fabrics. 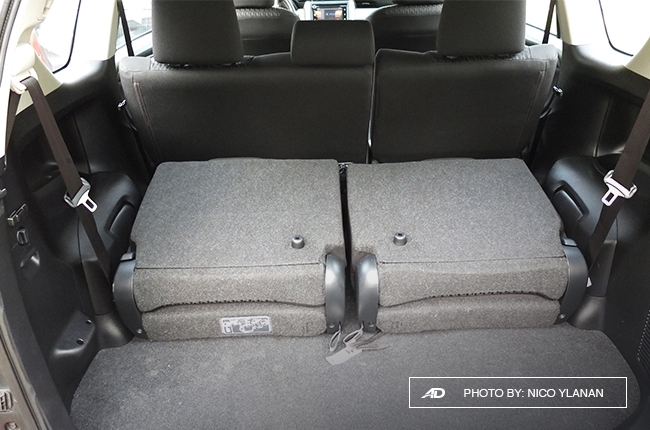 The seats, for example, are a black fabric that’s good enough, and match the overall vibe of the Touring Sport. 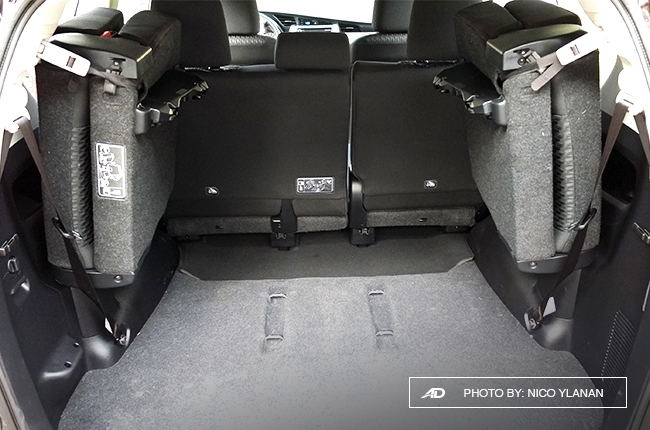 There’s a lot of storage space, cup holders, and places to leave your phone and loose change. 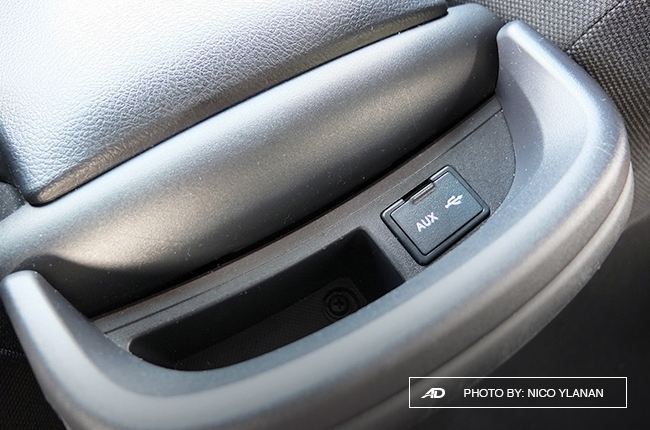 Aircon controls are a manual rotary dial affair, and the steering wheel controls are easy to use. For the most part, everything is where it should be and works with no drama. It’s disappointing, however, to find that the single USB port for charging and infotainment playback is located to the rear of the center armrest compartment, meaning the length of your cord will be in the way if you decide to store your phone up front near the gear selector. It would’ve been nice for the higher-end multifunction display to be present between the gauges, but the standard one is serviceable. Like I said, it’s a functional cabin that will serve you many years of ownerships and abuse, and, for big families that take long road trips, it does its job well. Speaking of long road trips, I was able to rack up some serious kilometers behind the wheel of the Innova Touring Sport, and I can say that it’s a practical and well-rounded people carrier. Space for the second row is good, with six-footers having no problem with comfort. The third row is decent, but anyone close to six feet in height will find it somewhat cramped, so reserve these spots for the kids if in a pinch. Flip the third row up, and you get a generous cargo area ready for suitcases and all sorts of beach related paraphernalia. 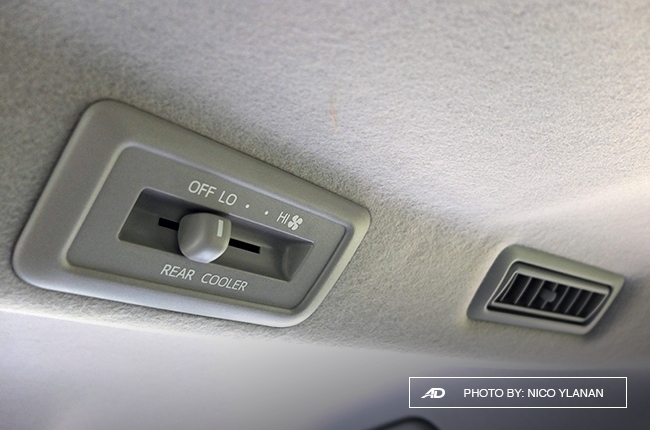 Rear aircon vents are plentiful and cool passengers with little effort, so that’s a definite plus for everyone. 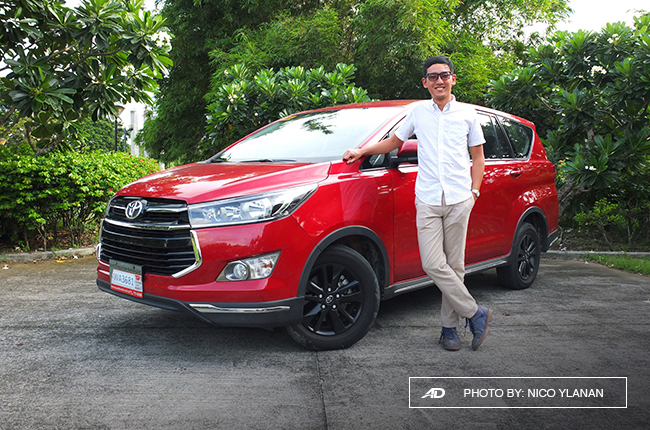 Fully loaded, the Innova’s suspension settles nicely, and lends to some better driving dynamics. 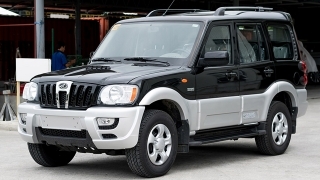 When alone, however, the quirks of a ladder frame, long wheelbase, and powerful engine can come through. 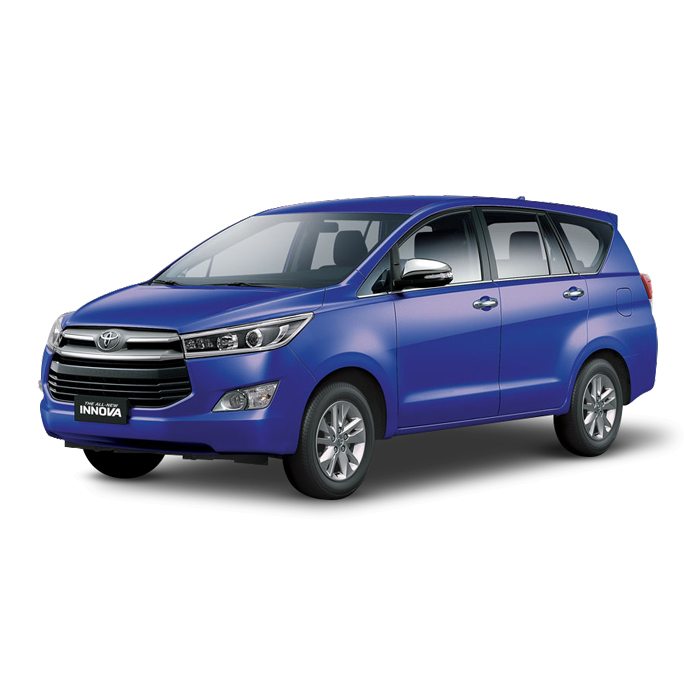 Driven alone, the Innova can feel a bit unsettled, almost like it’s disconnected from the driver. The suspension soaks up all sorts of abuse and road imperfections when fully loaded, and it does so to some extent when I was driving it by myself, but there was a definite feeling of floatiness. The engine is quick and pulls extremely well, but the size and weight of the Innova can be felt somewhat. Body roll is, as expected, present and will be felt when taking faster corners, but it’s toned down when more people are aboard. Braking is good, but the Innova has a tendency to dive forward. That’s not to say the Innova Touring Sport isn’t comfortable; it can be, given smoother roads and when driven thoughtfully to minimize the floaty effect on passengers. Brake and accelerate gradually, and you shouldn’t have a problem. One slight criticism about driving the Innova is that the steering feels like it’s fighting with you during low speed maneuvers - it’s hydraulically assisted, but it can surprise you when unraveling the wheel when parking. 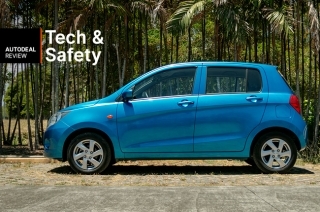 On an open road, especially a highway, you can pile on the kilometers without complaint. It helps that the 2.8-liter diesel engine is frugal, netting 14.5 kilometers per liter during my highway run (it can do better) and a solid 10 kilometers per liter in the city. 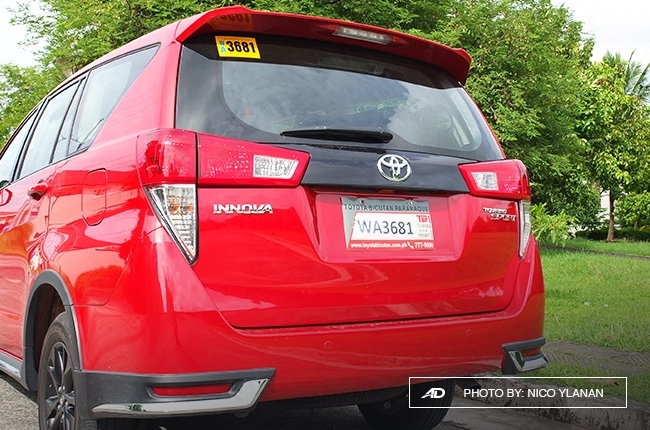 When you think about it as a highway cruiser, then the Touring Sport moniker sounds more apropos, and it’s no wonder Innova is the long weekend vehicle of choice for many Filipino families. The Innova Touring Sport comes in at a very attractive price of P1,380,000, slicing down the middle of the automatic variants of the E and G. It takes bits from the G trim while still being only P71,000 pesos more than the E, and adds a nice exterior finish to boot. So does the Touring Sport help in creating a more attractive variant for those wanting more toys for less? In some ways it does. 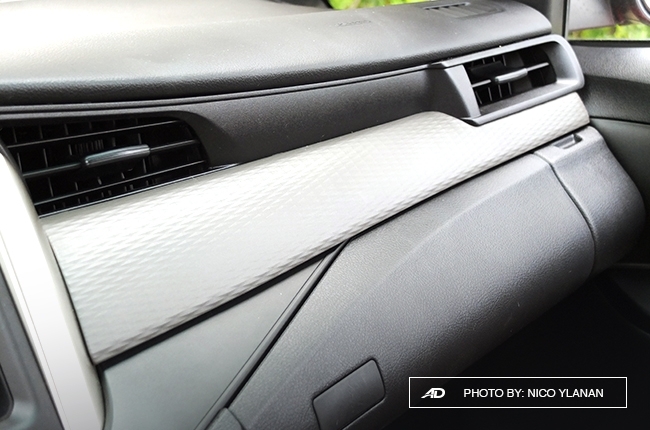 The upgraded head unit, parking sensors, and exclusive exterior touches are well worth the additional money if you’re looking at the Innova E 2.8-liter diesel. Plus, the G variant with the same engine is quite a bit higher at P1,506,000 (P126,000 more than the Touring Sport), so the Touring Sport creates a nice mid-range sweet spot for buyers. Take note that all these variants still undercut the entry level midsize SUV from the same family. Where does it fall short? I just wished that the Touring Sport came with more usable features that would set it apart right off the showroom, like, for example, a tow hitch? Maybe even those bigger wheels that we wanted? Or how about those LED or projector headlights on the other Toyotas? Costing would probably be the culprit here. 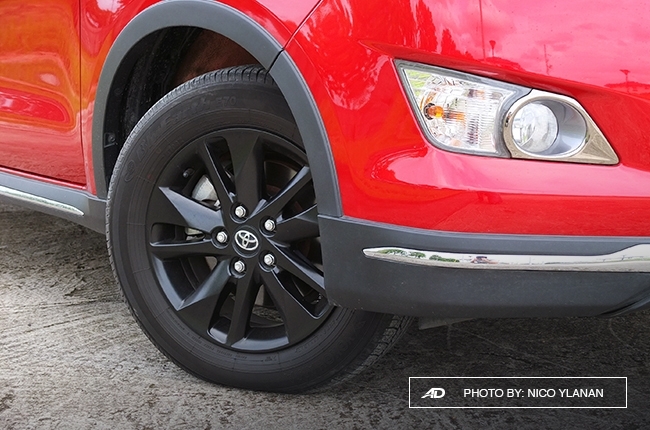 All things considered, Innova is known for its no-nonsense ownership and reliability. 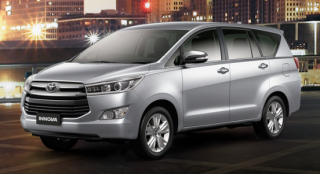 It has proven to be dependable and comfortable for families for years to come, and there’s no denying the Innova’s success in our local market. If you’re not in the market for something as big as a midsize SUV and want to ferry people more often, the Innova is still at the top of the list. 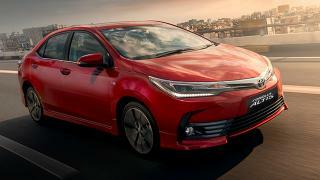 And, as far as special editions go, you can’t go wrong with the Touring Sport, especially with the value proposition at its price range, and, after all, it is a Toyota. Hi, I would like to receive a financing quote for the Toyota Innova 2.8 Touring Sport Diesel AT, thank you.